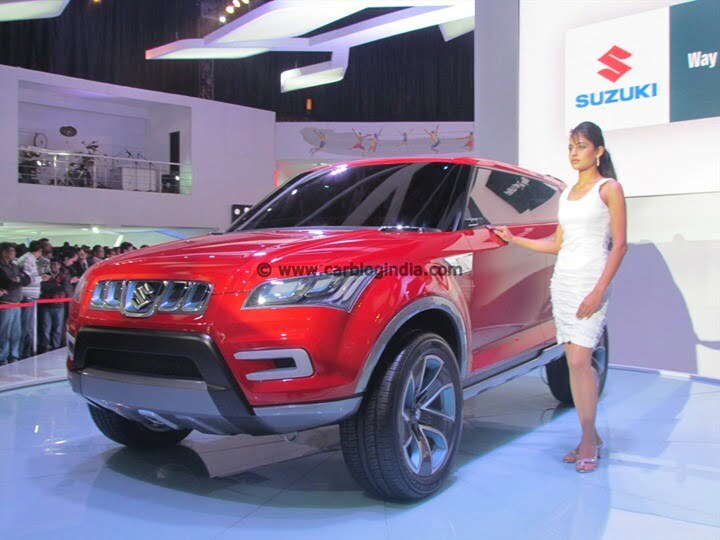 Maruti XA-Alpha is one of the most awaited compact SUV after Ford EcoSport. Some insider details of the XA-Alpha aka YAD have leaked by our fellow bloggers at Motor Bash. To begin with, the conceptual prelim of this car was seen at the 2012 Auto Expo in New Delhi recently. The production model of this car is expected to be on floors by end of 2014. Maruti is bringing this SUV on board to take a firm stand against other potential players of the J segment like Ford EcoSport, Renault Duster, Mahindra S101, and others. XA-Alpha will be under 4-meter in length which will help to keep it in small car excise duty bracket. The launch of the production version of Maruti’s compact SUV based on XA-Alpha is expected by late2014 which is too late considering Duster came much earlier and EcoSport is just about to hit the roads. A diesel version of this SUV has been confirmed as of date, but a petrol version expectations can’s be denied. Maruti XA-Alpha will be available in three trims namely VDI, ZDI, and ZDI+. The car will have two row seating arrangement that will be in 60:40 ratio much like we see in Duster and EcoSport. It may not be priced too competitively. Maruti Suzuki will use some of the interior elements like seats and dashboard from existing cars like Dzire. This kind of sharing is evident in existing cars too like Swift, Dzire and Ertiga. The YAD will be a 5 seater. Above specifications are suggestive and are expected to be slightly modified in the production version of the compact SUV from stable of Maruti Suzuki India.